The obesity pandemic - an epigenetic time bomb? A German blockade at the end of World War II starved 4.5 million Dutch people. Scientists have been studying the effects of this famine ever since. They have discovered how starvation in mothers leads to a fat storing metabolism in children. Since World War II, the West has entered a period of unprecedented food abundance and so the effects of this altered metabolism have become highlighted in an unexpected way. This “starvation mode” metabolism promotes obesity and is inherited even by the grandchildren of the previously malnourished. Obesity itself can also activate a functionally similar metabolism during pregnancy that promotes obesity and seems inheritable - at least as far as grandchildren. Unless we can break this cycle, obese mothers will have obese children and grandchildren, who will in turn have obese children and grandchildren - perpetuating the problem and burdening our descendants with the reduced quality and quantity of life that arises from obesity. It’s currently impossible to engage with media without someone telling you about the dangers of obesity. It’s linked to type-two diabetes, heart disease, cancer, stroke, osteoarthritis and many more conditions that reduce one’s quality of life, if not threaten it. Indeed, it may be the leading cause of preventable deaths in the developed world. Worryingly, obesity is undergoing a pandemic that seems to be spiraling out of control. Between 1980 and 2014, worldwide obesity doubled. The UK has been particularly susceptible to the disease - in 2015, 36% of our adults were overweight and a further 27% were obese. If the current trend continues, 60% of men, 50% of women and 25% of children are expected to be obese in the UK by 2050. These figures are alarming and the government, health professionals and campaigners have reacted - the UK now has a sugary drinks tax, there are initiatives popping up across the country to help people lose weight and the dangers obesity poses are being raised with increasingly loud voices. Have we ever really considered what effect obesity will have on our unborn children and grandchildren? The Dutch famine, or Hongerwinter (“Hunger winter”), took place in the German-occupied region of the Netherlands during the winter of 1944/45. A German blockade cut off food and fuel shipments with horrific results. Butter, cheese and meat supplies rapidly ran out, even on the black market. By the end of the famine 400g of bread and 1kg of potatoes formed an entire week's ration - this came to a measly 580 calories per day. People were reduced to eating tulip bulbs and grass. 4.5 million people were affected and more than 20,000 of these are thought to have died from the famine. This devastating consequence of World War II now underpins most of our scientific understanding of the effects starvation of a pregnant mother has on her unborn child. The survivors of the famine were a well defined, previously well nourished population who all experienced a great period of malnutrition at exactly the same time. The Netherlands has excellent record keeping and world class health care enabling scientists to study the effects of the famine on subsequent generations. One of the first things studied were the birth weights of the children who were in the womb during the famine. The findings are nuanced - if a mother had enough to eat at the start of the pregnancy but was malnourished for the last few months of pregnancy, then the baby was born small. However, if she was malnourished for only the first few months of pregnancy but then well fed, she would be more likely to have a normal-sized baby. But this population of children then grew up to have above-average obesity rates. However, the babies born small stayed small their whole lives despite having access to as much food as they wanted. It’s now thought that humans have evolved some mechanism to alter a foetus’ metabolic profile whilst in the womb. This makes evolutionary sense - being able to tell a foetus if there is a famine would be huge selective advantage - the foetus wouldn’t waste resources and would have a better shot at surviving. The mothers that were malnourished at the start of their pregnancies would do this. When the famine ended, these babies, with “starvation mode” on, would store as much energy as possible to prepare for another famine. Even though easy access to increasingly abundant amounts of food followed, this metabolic profile remained - hence the higher obesity rates. It was too late for the mothers who were malnourished at the end of the pregnancy to truly alter the their babies metabolisms and turn on “starvation mode”. Many scientists believe this window closes by week 7 after fertilisation. Their children grew small simply because there wasn’t enough food and suffered from poor health in adulthood. Extraordinarily, scientists have found that even the grandchildren of mothers who were starved early on in their pregnancies show higher than average obesity rates. This has fascinated them. How is something that happened to a grandmother still affecting the grandchild? Many scientists believe that this is controlled through the process of epigenetics. Almost every cell in your body contains the same DNA and genes yet they can have radically different functions and appearances. Broadly speaking, epigenetics ensures that different cell types, such as nerve cells and skin cells, remain distinct by turning on and off different genes in different contexts. The most popular hypothesis is that the starvation experienced by mothers in the Dutch famine lead to an epigenetic fingerprint in their children, turning on the “starvation mode” that has lasted across generations. 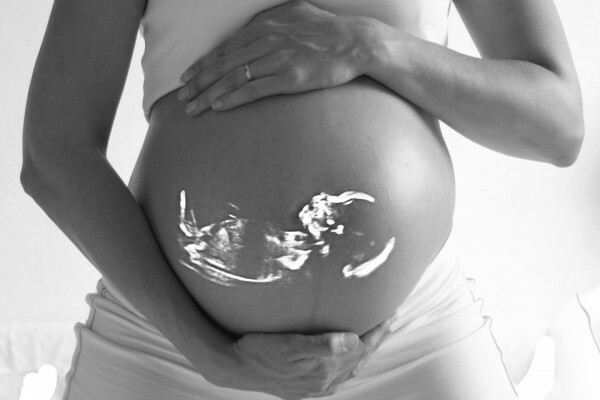 However, the early foetus contains the so-called "germ" cells that will go on to become eggs and sperm. Indeed, women are born with all the eggs they will need during their lifetimes already in place in their ovaries. So it's possible that the starvation during the Dutch famine directly affected the grandchildren as well, turning on the metabolic starvation mode, perhaps using epigenetics. To truly answer this question, scientists need to wait until enough great-grandchildren of the survivors of the Dutch famine reach adulthood. Experimental replication of the Dutch famine (on animals) is mostly inconclusive. Very few studies have investigated a sufficient number of generations to determine whether this epigenetic fingerprint is truly heritable. It is also difficult to model the influence that our modern world, with its overabundance of food, has on small rodents in cages in extremely controlled environments. Nevertheless, the potential heritability of the metabolic fingerprint is alarming. Epidemiologists have observed that obese mothers (and fathers) are more likely to have obese children. Strangely, it seems that both malnourished and obese mothers can pass on similar metabolic behaviours that promote obesity. Furthermore, most evidence suggests that the mechanism to alter the metabolic profile of the children is the same between obese and starved mothers. One hopes that this metabolic fingerprint can be reset in the great grandchildren, providing the children and grandchildren do not experience obesity. Although again, the research in the lab in general doesn’t use sufficient generations of mice to tell with certainty whether this metabolic fingerprint can be. Review of effects of maternal obesity on offspring. Previous What do Alzheimer’s and Bacterial Biofilms have in common? Next Antibiotic resistance: how worried should we be?